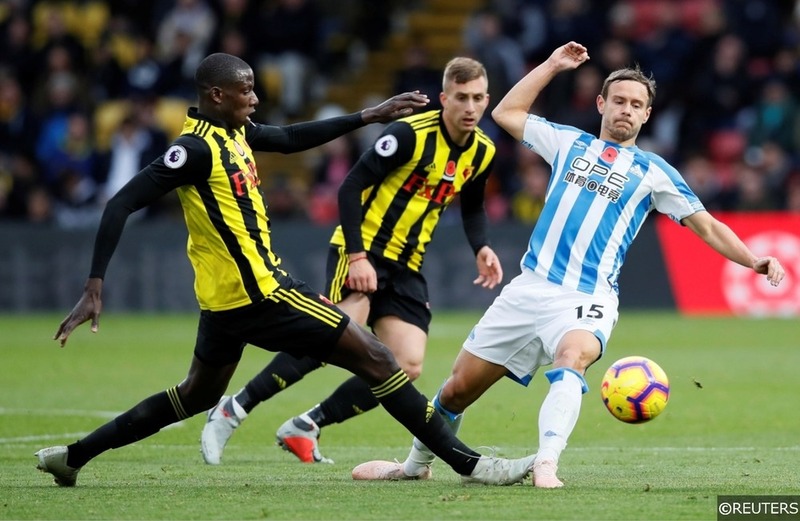 The Premier League edged a step closer to completion this weekend, and while the title race remained unchanged the battle for a top four spot saw some twists and turns amid the 24 goals that flew into the net over nine fixtures this weekend. Manchester City’s ball playing stopper banished the memories of Wednesday night as he lined up against Spurs for the second time in four days on Saturday. 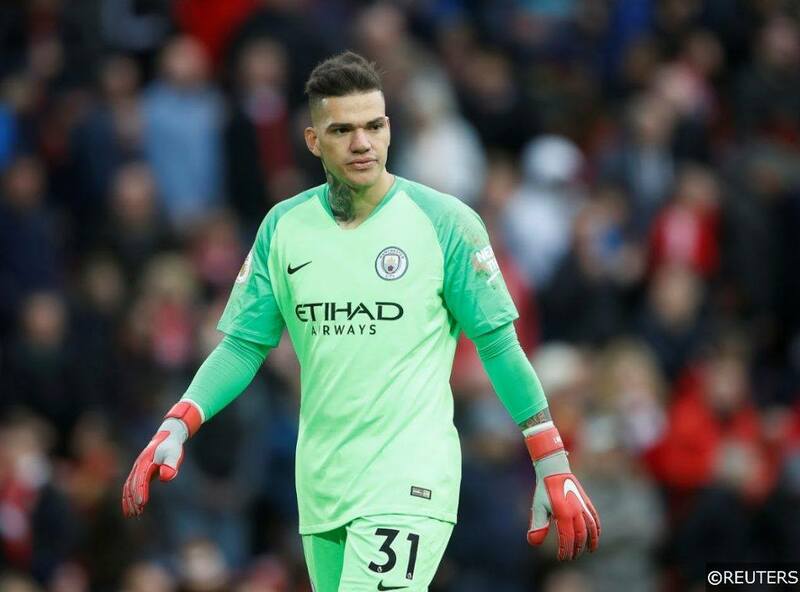 Ederson made four saves to contribute to Man City’s crucial 1-0 shutout against Tottenham, learning from the mistakes of midweek to keep the in form Son Heung-min at bay despite numerous efforts from the South Korean attacker. Ask any Liverpool fan who the most important player in the team is and one of the most frequent responses would be “Virgil van Dijk”. The Dutchman showed his worth again in a tough away fixture against Cardiff, completely dominating the Bluebirds’ attackers in the air and winning an impressive 12 aerial duels. It’s another clean sheet for one of the Player of the Season favourites, and his command of the Liverpool back line gets him a spot in our TotW. It’s been a tough couple of months for the Brighton players as a run of torrid results has pushed them down into relegation contention, but Shane Duffy played a vital part as The Seagulls shut out Wolves at Molineux on Saturday. The visitors defended valiantly against a Wolves side who mustered a massive 23 shots on goal while camping inside Brighton’s half, but Duffy’s 12 clearances and five aerial duels helped Brighton to a rare clean sheet and a potentially crucial point. Everton’s flying full back produced another Man of the Match performance as the Toffees romped to a 4-0 win over Manchester United on Sunday. 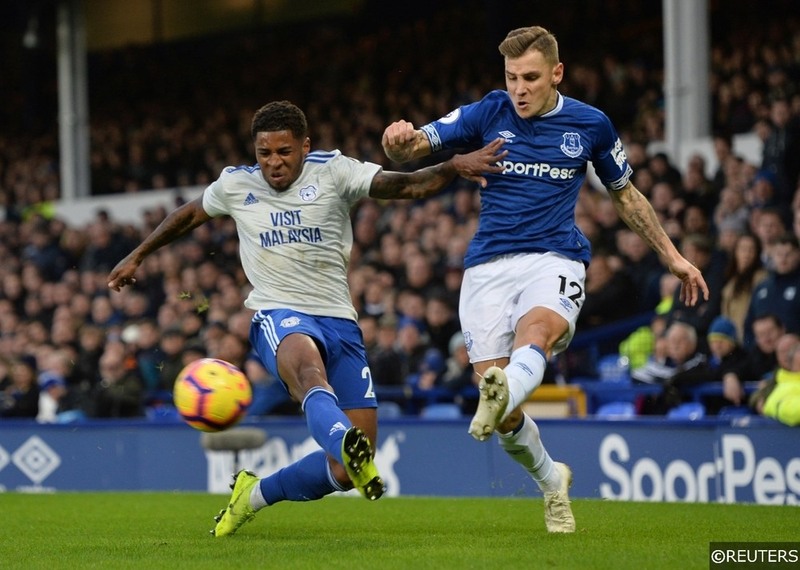 Lucas Digne’s gorgeous half-volley at Goodison Park wrapped up the three points for Everton, but his performance should be lauded for many more reasons as well. He played two key passes for his teammates and made three successful tackles to thwart The Red Devils’ rare pieces of attacking play. The harmony between Digne’s attacking vigour and defensive determination was put on display on Sunday, and it was a well deserved three points for the full back. Phil Foden may have clinched the all important goal on Saturday, but Bernardo Silva was at the heart of everything good about Manchester City’s attacking play. The young Portuguese attacking midfielder racked up three shots and his passes directly led to another four attempts on the Spurs goal. Silva has been a mainstay in Pep Guardiola’s side for the entire season, and with his efforts being pivotal to the Citizens’ success it’s easy to see why. Gigi Wijnaldum is a criminally underrated cog in the Liverpool machine this season, but his talents were brought to the fore against Cardiff as he thrashed the ball past Neil Etheridge to clinch three points for his club. He’s far from a regular on the scoresheet, but his assured and confident displays in front of the Liverpool back four make him an incredibly important part of this team. He had a pass completion rate of 96% at the weekend as he dictated the game alongside Naby Keita and Jordan Henderson. Crystal Palace secured a stunning victory away to Arsenal on Sunday, and while many of the plaudits will be heaped on Wilfried Zaha and Christian Benteke, the most important member of this Palace team is Luka Milivojevic. He’s the beating heart of Roy Hodgson’s teams, providing both defensive cover and an outlet for the attackers. He proved that on Sunday too, providing an assist for Christian Benteke’s opener as well as contributing two defensive clearances, two interceptions and three tackles to break up Arsenal’s slick passing play. Digne may have taken the highest rating on Sunday, but Everton’s Icelandic maestro wasn’t far behind him. Gylfi Sigurdsson was at the heart of everything Everton did going forward, netting a well deserved and typically stunning long range strike and laying on an assist for Theo Walcott’s goal in the second half to complete the rout. It was a masterclass from the former Swansea player, and he proved once again why he’s the most important figure in the Toffees’ attacking arsenal. With Troy Deeney suspended, many Hornets fans wondered where their goals might come from against the relegated Huddersfield. Step into the spotlight, Gerard Deulofeu. The Spaniard scored an excellent brace to seal the three points against The Terriers, with an early goal and a late finish perfectly illustrated the constant threat he caused to their defence. Deulofeu worked his way through the gears with ease, registering five shots on goal and putting in a shift all over the pitch as he looked to be the difference maker on Saturday. Newcastle romped to an impressive 3-1 win over Southampton on Saturday, and the man they have to thank is Ayoze Perez. The Spaniard clinched a superb trio of goals at St James’ Park, registering the first Newcastle hat-trick in the top flight since 2015. He was absolutely ruthless in front of goal, grabbing the match ball from just three shots in the entire game, as well as making a few tackles and a number of dribbles to trouble the Southampton defence. The much maligned Christian Benteke netted his first goal in almost a year to open the scoring in Crystal Palace’s 3-2 win over Arsenal before turning provider to lay on an assist for Wilfried Zaha’s finish. Not only that, but buoyed by the confidence of an early goal he went on to win more aerial duels than any other player on the pitch and linked up wonderfully with Zaha throughout. Benteke’s presence may not often result in a goal for the Belgian forward, but he proves invaluable in improving Zaha’s performance with his intelligent and strong hold up play.